So I've been home sick with an upper respiratory infection. Yuck. This ultimately led to me staring at Josie all day. She loves playing with medicine bottles, cups with ice in them, and tissues. 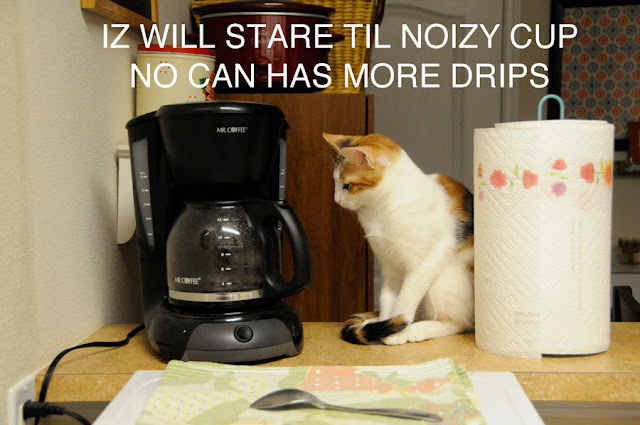 She also loves the coffee pot. Hope you have a fabulous Friday night.